All over the country people are receiving the best quality picture available for free, and experiencing the best installation process with an RCA antenna. 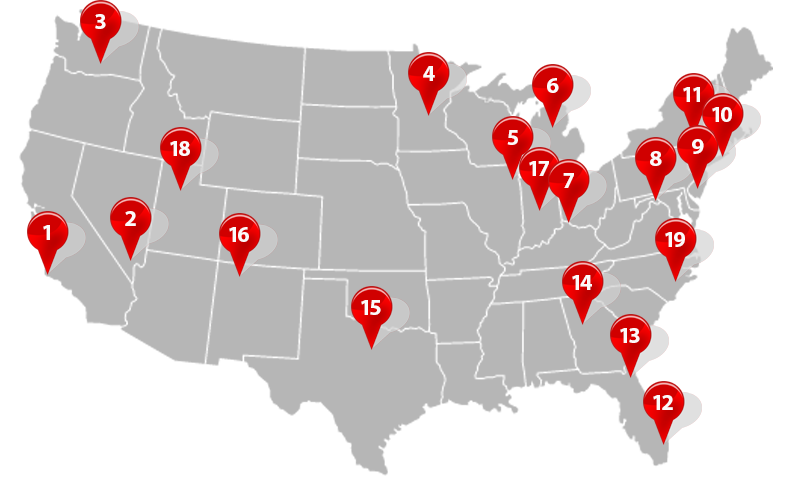 Rollover the maps number place holders below to see how RCA antennas are being received in an area near you. "Good and cheap investment that has really paid off. You don't need to mount it all the way at the top of the House. Just make sure there is sufficient clearance of about 30-40 ft open space from where this is installed. I just installed it right on top of the backyard door and there are some trees that are taller than this antennae in my neighbours backyard, but still no problem." - A.C.
Rollover the maps number place holders to see what people are saying.